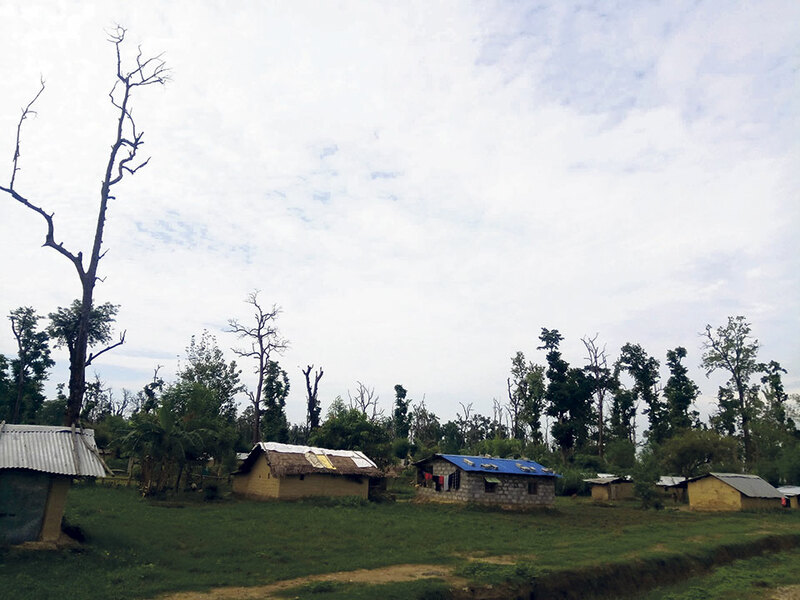 TIKAPUR, July 12: It has been 12 years that around 300 bigha of land belonging to Tikapur Multiple Campus has been illegally encroached upon by people who claim themselves as Kamaiyas (freed bonded laborers), squatters and landless people. The Kamaiyas started encroaching on the land of the campus from July 8, 2006. Initially, 22 houses and tents were constructed under the leadership of Jit Bahadur Chaudhary, a leader of the Kamiyas. But now, there are more than 1,500 houses in the same land. As many as 252 houses belong to the Kamaiyas while others belong to the people who migrated from the hills of the far and mid-western regions. Most of these people are from Achham, Bajura, Surkhet, Doti, Dailekh among others. On July 13, 2006, the campus administration had held a discussion with the Kamaiyas after which they had agreed to vacate the land after monsoon. Unfortunately, tents of some more people were constructed there after monsoon, the campus told Republica. In the beginning, those people had the backing of various political parties who used them as vote banks. According to reliable sources, the parties even encouraged their cadres to encroach upon the land. Even now, some parties are still working as a shield for the squatters and the landless people. "They have been illegally living on the land of the campus under the protection of political parties," said one of the sources, seeking anonymity, adding, "These people still have the support of political parties." Two schools have been established in the encroached land with the support of the District Education Office (DEO). A health post too has been established there. Some followers of Christianity have established a church as well. Despite living there illegally, some people are apparently using the encroached land for buying and selling purpose. One of the sources claimed that they have been charging Rs 200,000 per kattha of land. The campus administration has time and again made efforts to draw the attention of the responsible authorities toward illegal encroachment but has failed to do so. "From staging demonstrations to imposing strikes in Tikapur, we did everything possible. 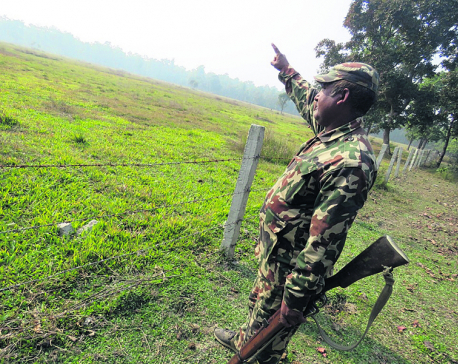 But still, we could not get our land back," said Keshav Bahadur Kunwar, chief of the campus, adding, "It's been 3/4 years that we have not raised this issue as we are tired of it." Years ago, Tikapur Development Committee (TDC) gifted 300 bigha of land to Tikapur Multiple Campus. A board led by then chief of TDC, Min Bahadur Rawal, had made the decision. In 2005, the campus also received a land ownership certificate. The committee had earlier gifted 80 bigha of land to the campus as well. The campus started making efforts to remove the people living illegally in the land after it decided to extend its faculties. It has demanded investigation to find out if all the people living there are genuine Kamaiyas, squatters or landless people. In fact, the campus administration urged the government to manage shelter for these people somewhere else. Earlier, Tikapur Municipality had to offer migration certificate to the people living in the encroached land due to political pressure. Due to this, they have been registered as the locals of this municipality. Some of them even voted in the local, provincial and parliamentary elections from here.